SPL’s mission is to create unique educational experiences that explore and celebrate the places we live through local history, ecology, and the arts. Bug Camp Goes to China! Sense of Place Learning was invited to create a two-week summer Bug Camp for 5-12 year olds at the Cangnan Shuxiang Tonghua International Kindergarten in Cangnan,Wenzhou,China. We had a great time discovering bugs, exploring the natural world, and sharing our cultures and languages. Here’s a link to a Tribune Review article about SPL’s China adventures! Your warmth, your patience, and your kindness shine through in your performance as well as your great musical talents. You work with children so well! I love how you’ve combined your wonderful abilities to create this fantastic show! I had a terrific time celebrating Pennsylvania through stories and songs at several of our regional libraries this summer. Many thanks to the Greensburg-Hempfield Area, Penn Area, Murrysville Community, Adams Memorial, Manor, and Norwin libraries for inviting me to be part of your summer program festivities! Thanks also, to the wonderful Rangers and campers at Prince Gallitzin State Park. We had a blast making some Pennsylvania music together on a perfect late-summer evening. The students and I were delighted that Chelsea Arnold, GASP’s Education and Events Coordinator, was able to visit mSPL’s Woodland Hill’s after school program on 1/10/18. We discussed Pittsburgh’s air quality, past and present, and how each of us contributes to air pollution, just by going about our every-day activities. After discussing some solutions, as well as the environmental and health effects of air pollution, the kids got to see how a real pair of pig lungs work! Okay, it was kind of gross, but very interesting, too! CMU Graduate Students “Rock” SPL’s Prime Time! On December 18, 2017, four wonderful graduate students from the Center for Atmospheric Particle Studies at Carnegie Mellon University visited our after school program. Following a slideshow explaining how volcanoes work and how eruptions can effect the environment, Prime Time students got to examine real volcanic ash under the microscope. We built erupting volcano models too, just for fun! 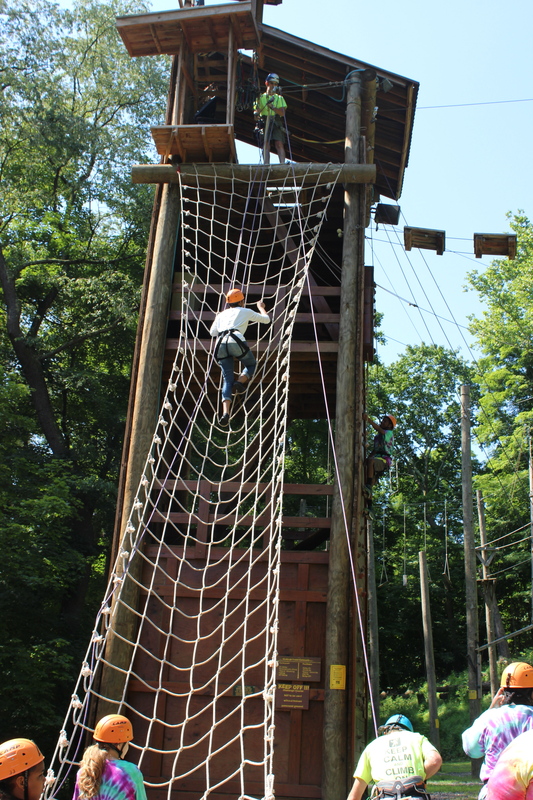 Nineteen students from Woodland Hills’ after school program, Prime Time, attended Creek Connections’ 2017 research symposium at Camp Kon-O-Kwee. The students proudly displayed their projects, which included environmentally-themed pizza box board games, nature photography, native Pennsylvania predators, homemade water filters, and Fox Facts accompanied by a student-made video to “What Does the Fox Say?” Thanks, Creek Connections! We had a great time! 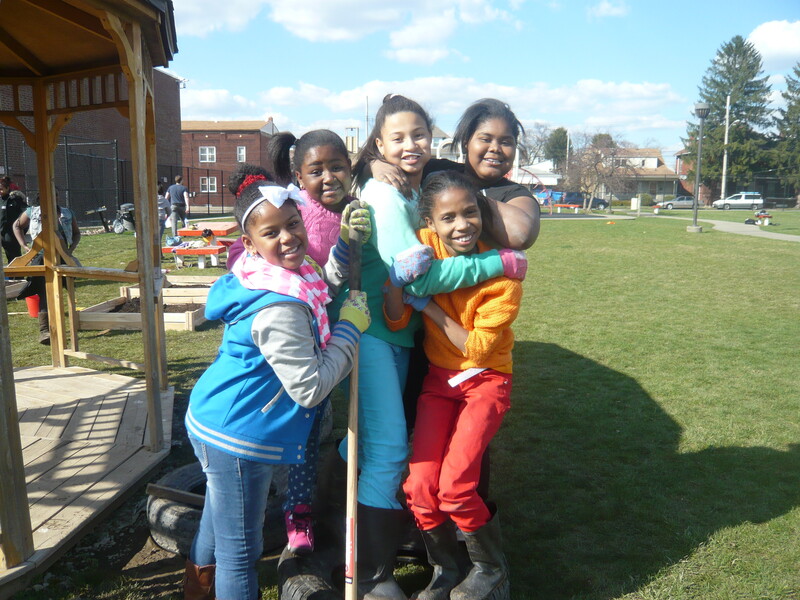 SPL developed place-based environmental lessons and activities as an after school partner with the Consortium for Public Education. 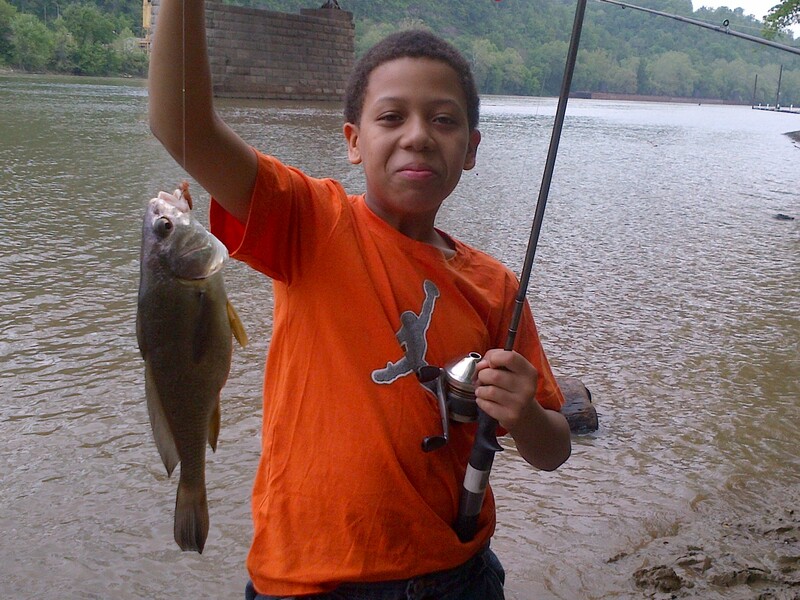 Through the years, we’ve invited students in Clairton, Woodland Hills, and Wilkinsburg to become citizen scientists and explore their neighborhoods through science, art, music, gardening, field trips and more! 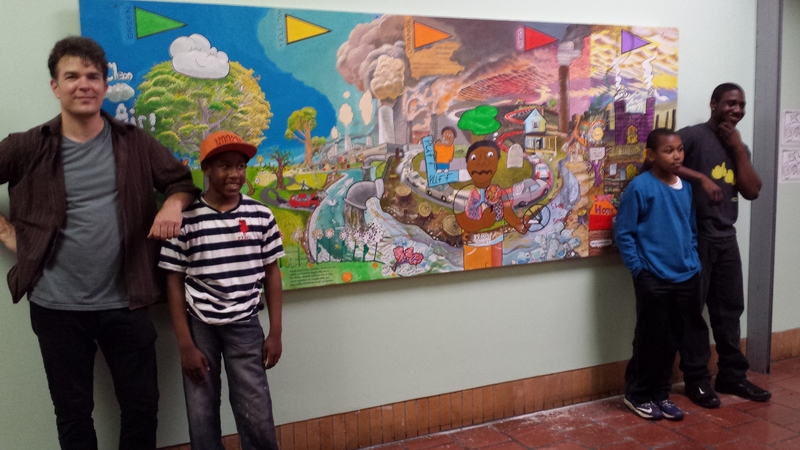 Are You Looking for an Engaging Arts Presentation ? Paula presents regional music programs for audiences of all ages. Check the Music tab above to learn more. The goal of SPL’s Survival Camp is to introduce Pittsburgh area kids to skills, knowledge, and dispositions needed to survive in the wilds of Western PA. The students have gone above and beyond – learning about edible and medicinal native plants; how to find and identify animal tracks; navigating with maps and GPS, and cooking using solar energy. Many thanks to the Consortium for Public Education for making these outdoor encounters possible, and kudos to the terrific kids and teachers! Champions of Learning Awards Finalists have been selected, honoring individuals, organizations and businesses that create, support or expand learning opportunities in our region. Categories include Business Partnerships, Classroom Teaching, Community Outreach, Leadership, Technology Integration and Nominator’s Choice. Sense of Place Learning was one of three finalists in the Business Partnerships category, and was nominated by Greg Spotti, Director of the Clairton CASTLE after school program. 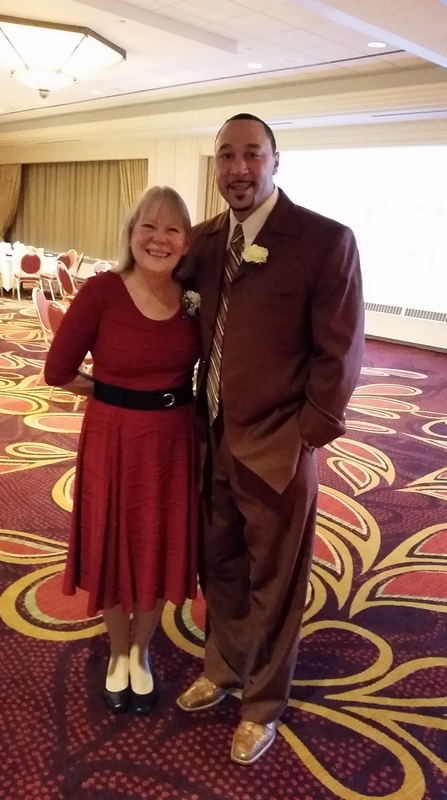 We didn’t win, but I got to meet my favorite Steeler and fellow nominee Charlie Batch – how great is that? Gardens are a great way to connect to our communities! Working with the good folks at Grow Pittsburgh, Clairton students designed, built, and planted their own school year garden. The first year, we harvested enough lettuce, spinach, radishes and greens to make a healthy salad for our community celebration. Have You Been Fishing on the Mon Lately? What could be better than a day of fishing on the Mon? 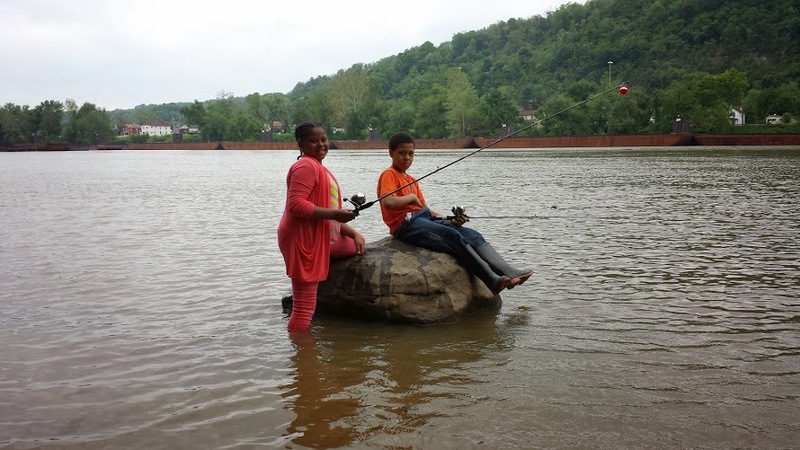 There was no shortage of action as our Clairton anglers caught sheephead, bass, and a variety of other fish, and had a great time learning to hook worms and just watching barges go by. Thanks to Mr. Manko!